Your meeting will begin by getting participants excited about the conference, as Kent Cummins helps everyone discover the magic coming up in the meeting…and in their lives. Unlike some motivational speakers, Kent truly customizes each keynote presentation to make it meaningful to every member of your group. In fact, after a presentation, members often assume that Kent is part of their industry, whether it be teaching, banking, hospitality, computers, insurance, retail, real estate, or any other field. Kent will discuss your goals and create a customized keynote presentation that will bring the audience to their feet. 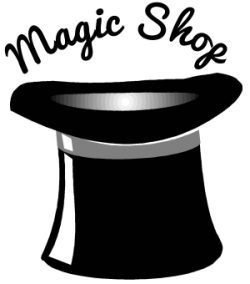 Depending on your specific goals, he may give each participant a real magic wand, and teach them how to use it to produce magic in their own lives! Each presentation typically includes some degree of personal goal-setting, time management, and the importance of a strong ethical framework, as well as messages specific to your audience’s industry. Among Kent’s many keynote clients are the International Military Community Executives Association (various presentations around the world), the Texas Medical Association, American Camping Association, Hyatt Hotels, Courtyard by Marriott, Xerox, Dell Computers, Motorola, Hewlett Packard and IBM.